Dinamo Bucharest and Cameroon midfielder Patrick Ekeng has died after collapsing during a league match on Friday night, the Romanian club have announced. The 26-year-old fell to the ground during the second half of Dinamo's 3-3 draw with Viitorul Constanta and was taken off the pitch in an ambulance. A statement on Dinamo's official Facebook page said: "Dinamo tonight lost footballer Claude Patrick Ekeng Ekeng forever. "On behalf of all of Dinamo, sincere condolences to the bereaved family. God rest his soul." Ekeng had only been on the field for seven minutes after coming on as a 62nd-minute substitute. 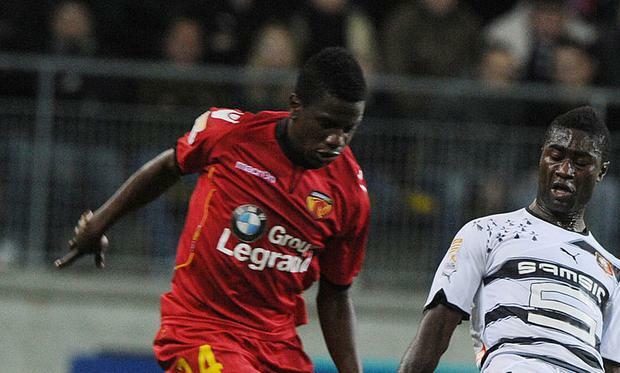 Ekeng spent last season at Spanish side Cordoba having previously played for Lausanne, Le Mans and Canon Yaounde. Cordoba wrote on their official Twitter account: "There are no words to express our sorrow at the death of Patrick Ekeng. We mourn your loss. We will never forget you friend. RIP."